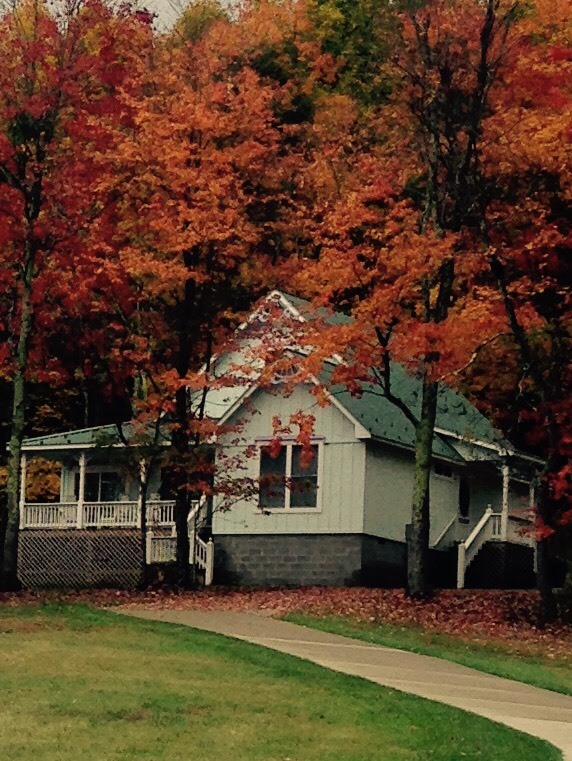 Are you looking for a West Virginia cabin vacation rental near the New River Gorge National River? Star Song 1 & 2 Cottages are serene places to stay, tucked in the beautiful mountain valley of Meadow Bridge and Lockbridge, West Virginia. We are along the scenic driving loop for the New River Gorge National River, near Lewisburg, Fayetteville and Beckley. These charming “gingerbread” cottages have two bedrooms, a fully equipped kitchen and a porch with mountain views from your rocking chair. Star Song is the perfect getaway for exploring the area or a quiet retreat while enjoying the deer, wild turkey, songbirds and other wildlife in the pond and on the forest trail.